In September the Internet quietly reached a major turning point. With billions more users and devices than it was ever built to handle, it ran out of IP addresses. Outside of the tech world, however, no one even noticed. The average Web surfer might be surprised to learn there are actually two Internets — or two Internet protocols to be precise. The Internet protocol is the major framework upon which the entire Internet is built — it’s the primary communications protocol for relaying and routing data between networked computers. Currently the Internet runs on an outdated protocol known as IPv4, and the tech industry has known since at least the mid-1990s that it would eventually run out of IP addresses, the unique numeric identifiers assigned to every device connected to the Internet. IPv4 address depletion occurred in the United States in September. Similar to the way cellular networks migrated from 3G to faster, more secure 4G LTE networks, the Internet itself is in the process of migrating from IPv4 to the improved IPv6 protocol (also known as IPng for next generation). “IPv4 was not designed to number a global commercial Internet — certainly not an Internet of Things — and IPv6 was,” says Richard Jimmerson, chief information officer of the Chantilly-based American Registry for Internet Numbers (ARIN). 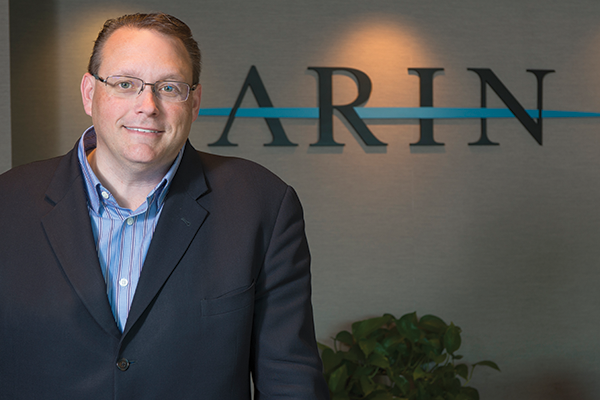 One of five worldwide regional Internet registries, the nonprofit ARIN is the industry association responsible for allocating and registering IP addresses in the United States, Canada and the Caribbean. IPv4 uses 32-bit IP addresses, which look like this: 172.16.254.1. The term 32-bit refers to the number of binary digits encoded in each address and there are roughly 4.2 billion permutations of the 32-bit addresses. However IPv6 uses 128-bit addresses. A sample IPv6 address looks like this: 2001:0db8:85a3:0000:0000:8a2e:0370:7334. This creates so many possible unique address combinations that it’s measured in a number that most people haven’t even heard of: 340 undecillion. That’s 340 with 36 zeros behind it. 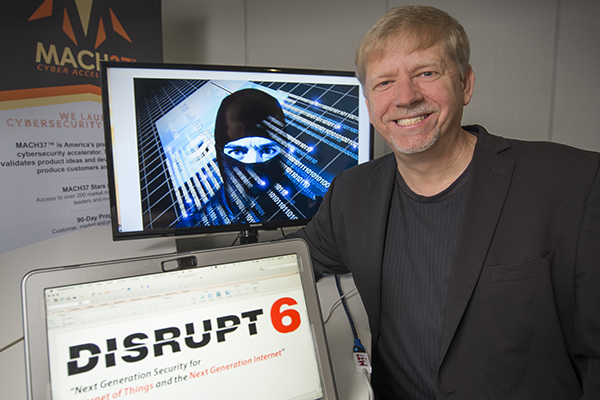 Joe Klein, founder and CEO of Leesburg-based cybersecurity firm Disrupt6, is a member of an international task force that’s been working on implementing IPv6 since shortly after its creation in 1999. He likens the transition to that of the growth of telephone networks: Initially phone numbers were four digits. As the network of users grew, phone numbers grew and also included area codes and international codes. Tech professionals knew that IPv4 was facing a limited life span as far back as 1994, which prompted the development of IPv6, but many companies were hesitant to adopt the new protocol. And network engineers and IT professionals were more comfortable working in IPv4, which was a known commodity. Fast-forward to now: With the exponential growth of smartphones, tablet computers and a host of other Internet-connected devices, “there are approximately 16 billion to 17 billion devices on the Internet today, all fighting over only 4 billion IP addresses. We have a lot of operators in between, which costs time, effort, money and power,” Klein says. Currently, Internet service providers and network administrators get around the IPv4 address depletion by using a process called network address translation (NAT), essentially a way of directing traffic so that one IP address can be assigned to handle the traffic of many devices. In the wake of the IPv4 depletion, a trading market has arisen, with brokers negotiating the sale of previously used IP addresses between Internet service providers, Jimmerson says. IPv6 solves these problems. But migrating to the new protocol offers more advantages than just avoiding IP address and Internet traffic hassles and decreasing IT and networking costs. Verizon Wireless moved its entire data network to the IPv6 protocol during the past few years, and it’s resulted in as much as 20 percent longer battery life for some mobile users, Klein says. IPv6 also is much more secure, with features designed to virtually eliminate phishing and spam and to protect networks from hackers. “In the IPv4 world, you can falsify your identity pretty easily,” Klein says, but IPv6’s device-to-device communication is so secure that it’s being used as the industry standard for new technologies designed for the Internet of Things and vehicle-to-vehicle communication in smart cars, as well as railroads, ships and airplanes. “People just think it’s about a bigger [IP] number, but there’s a lot of potential good that comes out of this as we move toward an IPv6-only environment,” Klein says. Globally only about 7 percent of the Internet has switched to IPv6 so far. In the United States, about 22 percent of users are on IPv6 networks, most without any idea they’re using it. Major Internet providers such as Comcast, Time Warner, Verizon Wireless and T-Mobile have already migrated to IPv6 or are in the process of doing so. Large content providers — such as Google, Facebook and Yahoo! — now are running their content on both IPv6 and IPv4 servers. Operating systems such as Windows, iOS and Linux have incorporated IPv6 support for years, as have most modern routers and hardware. Like most other providers who have made the jump, Comcast is using what’s called a “dual-stack” approach so that users surfing on its IPv6 network still are able to view IPv4 content. Nonetheless, the ultimate goal, Jimmerson says, is for the old IPv4 Internet to wind down, with service providers eventually eliminating support for it. That could happen by 2030 or sooner, some say. So what do companies need to do to be ready for IPv6? For starters, Klein and Jimmerson suggest, find out whether your website host and your Internet provider are utilizing IPv6. Sites such as whatismyipv6.com or test-ipv6.com can tell you if your Internet provider is using IPv6 or IPv4. Other sites such as ipv6-test.com/validate.php can tell you if your company website is running in an IPv6 hosting environment. If you are using an IPv6 host or provider, then it might be time for a technology review, Klein advises, to ensure that your hardware, applications and website code are optimized for IPv6. It’s also critical that your IT staff understands IPv6 to be able to utilize it fully and be protected from potential threats. Companies should be sure to include IPv6 in their decision-making when procuring cloud services, applications, security software and servers going forward, he recommends.